As times change, it is important to insure that our clients and their families are safe. All Jersey has been vigilant in following trends and keeping up with data that is pertinent to the homes of the people we serve. Safety has been our number one priority and considering that we serve an enormous amount of residential customers, we feel that to not offer new and changing services would be a terrible disservice to all that we have worked with before. For those of you that know us, we have spent hours, days, weeks, and even a month or more remediating a home depending on circumstances. During those procedures we have spent countless hours explaining the reasons for performing many of the jobs we have done. All Jersey does not pride itself on having a great sales force, but on the fact that we provide information to people in need of answers, or in many cases we provide merely the questions to the client to answer themselves. All Jersey feels that we are at a great crossroads within the industry of household cleanliness and sanitization. We are finding out that human beings are becoming more and more resistant to antibiotics. Viruses we find worldwide are also immune to all formerly known vaccines. This is credited to overuse of antibiotics, as well as constant continual sanitizing at every opportunity. The truth is that we are not allowing our bodies to gain the antibodies to fight off new viruses and diseases so that they may properly defend themselves. We attempt to eradicate all mold and bacteria, when in fact some of it is good for our bodies, and when the truth of the matter is that no matter how well remediated or clean a home is, there will always be some mold or bacteria there. So what are we seeing now? What are we finding out? 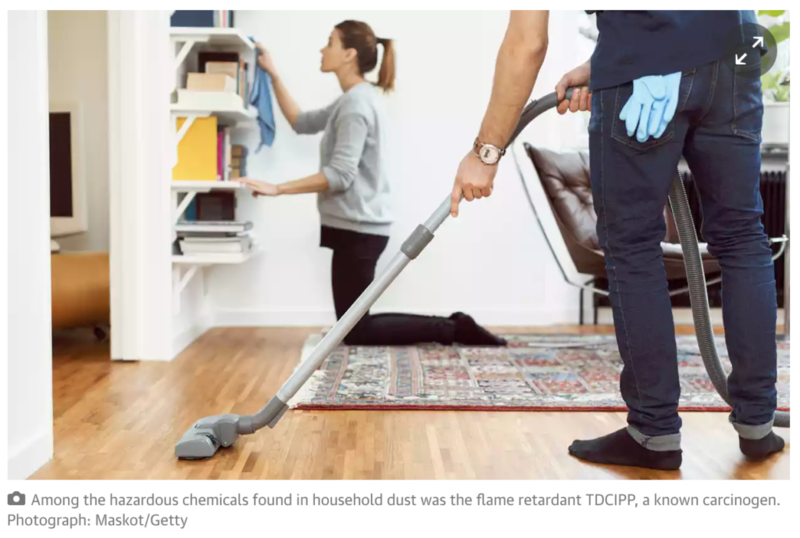 We are finding out that we don’t always have to worry about the molds and bacteria in our homes, but need to look a little more closely at the “common household dust”. Studies have been done that are showing that this dust contains a number carcinogenic chemicals from our normal household goods. One of the larger guilty parties are phthalates which are chemicals used to make plastics more pliable, and which are commonly found in furniture and other household goods. These phthalates are also found in flooring materials, and due to the fact that children spend so much time on the floor and then put hands and fingers in their mouths, they are at greater risk of danger than even adults. The side effects are serious. AJES has prided itself on not being alarmist in our approach to sales, and we will not have pictures of unhealthy children on our brochures to promote this service. However, it is something that should be done in all homes with small children and lots of dust. The home should be professionally cleansed, specially vacuumed, and the air within filtered with proper filtration. Then every surface should be treated with a 100% all natural and botanical antimicrobial. All Jersey looks to be an innovator in this field and lead the pack on treating your home, keeping your family safe. We look forward to coming to see your home and letting you know how we can make a difference in your family health from now moving forward. As times change, it is important to insure that our clients and their families are safe. All Jersey has been vigilant in following trends and keeping up with data that is pertinent to the homes of the people we serve. Childcare businesses are often unaware of the hidden dangers they may be exposing children to that go beyond the typical runny noses and damp diapers.